As Autumn is swiftly approaching and we experience the impermanence of those lovely summer days, we can be reminded of and reflect on the limited time we have in our own life to manifest what we came here to do. Shugen Roshi chose the theme “Buddha Ancestors” for this Fall Ango, and we will be taking up this study through selected readings, art practice, and work with our teachers. I’m looking forward to using this as a time to see into the humanity and vulnerability of the Ancestors, thus bringing them closer to me and making their experience more accessible. Shugen Roshi asked me to serve as the Chief Disciple during this Ango, and I will do my best to do so. In my private life, I prefer to “blend with the woods,” and so the more public role of Chief Disciple is not something that will come easily for me. I will need your patience and help to grow into this role. As I engage this challenge, I hope we all can give support to each other in our practice and realize more of what we have vowed. May our life reflect what we have seen to be true and may we be of true benefit to all sentient and insentient beings. Let us learn during this Ango to radiate kindness over the entire world in an unbounded way, as the Metta Sutta invites us to do. 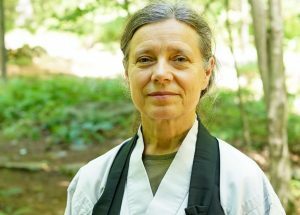 Seishin started to study Zen in Germany with Joan Rieck, a teacher in the Yasutani Sanbo-Kyodan lineage. 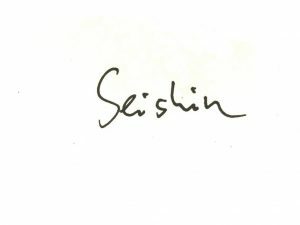 Seishin began working with Daido Roshi in 1993 and became his student in 1995. While living in Colorado for two years, she studied with Shishin Wick Roshi, with Daido Roshi’s permission. She returned and took Jukai with Daido Roshi in November 2001. After Daido Roshi’s passing, she studied for five years with Ryushin Sensei before becoming a student of Shugen Roshi early in 2017. 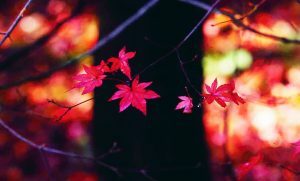 Seishin works as a service provider at the Wellness Center of the Omega Institute and as a teacher in the Center for Natural Wellness School of Massage Therapy. She also has her own healing practice in a private office locally. She lives with her partner Kyosho close to the monastery. Each ango has a theme drawn from the Buddhist teachings. The theme for Fall Ango is “Buddha Ancestors.” We will be reading selections from the Therigatha, or Verses of the Elder Nuns; several Jataka Tales (traditional stories of the Buddha’s past lives); and excerpts from Great Disciples of the Buddha by Nyanaponika Thera and Hellmuth Hecker, all available on the Ango website. We will engage this teaching together during the ango’s Buddhist study sessions and the ango intensive retreat.